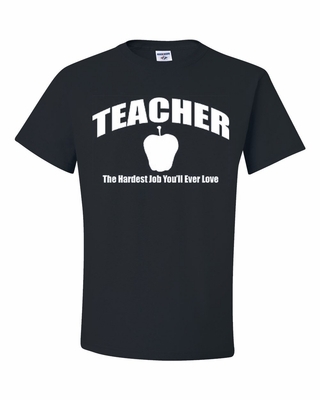 Thank your favorite teacher with a Teacher-The Hardest Job You'll Ever Love t-shirt or sweatshirt! For a great gift idea, add in our Teacher-The Hardest Job You'll Ever Love coffee mug, perfect for their favorite beverage. Remember� you found the Teacher-The Hardest Job You'll Ever Love Shirts at TShirtHub.com, where high quality came at a low price.